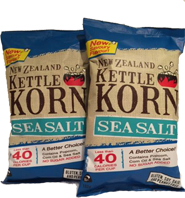 Our original lightly salted, slightly sweet, perfectly crunchy popcorn made us who we are today and continues to be our top seller. Sea Salt Caramel. A recipe direct from our Nana with added a hint of vanilla to give this already awesome flavour a new modern spin! Sea Salt (Savoury). Our customers spoke and we listened. Our first savoury option contains no added sugar and comes in at an amazing 40 calories or less per cup! It contains three simple ingredients popcorn, corn oil and sea salt. It’s a wish come true with our latest flavour Sour Cream and Chives. 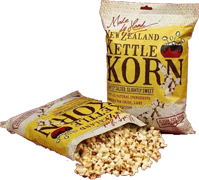 Hand crafted to perfection and NZ Made with a touch of magic from our very own Fairy Snack Mother. 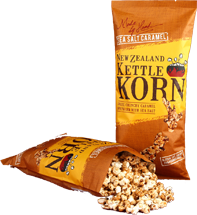 Transforming the classic Kiwi chip combo into an insanely delicious popcorn option, Fairy Snack Mother has really outdone herself this time with the perfect amount of flavour lightly sprinkled over crispy and always-fresh Kettle Korn. Vegans rejoice –it’s a dairy-free sour cream and chives. Cinnamon Caramel Sprinkled with Sea Salt. Our Fairy Snack Mother took our Nana’s recipe and added cinnamon and then sprinkled it with sea salt for a delicious twist on a classic!